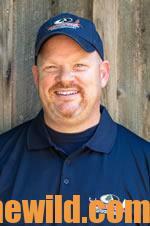 My friend and hunting buddy Jack Lester has an older son, John, who’s about 18. 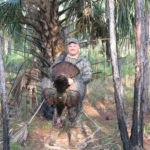 I really enjoy hunting with Jack and his family, and I primarily hunt on Jack’s family farm, which is about 3,300 acres. 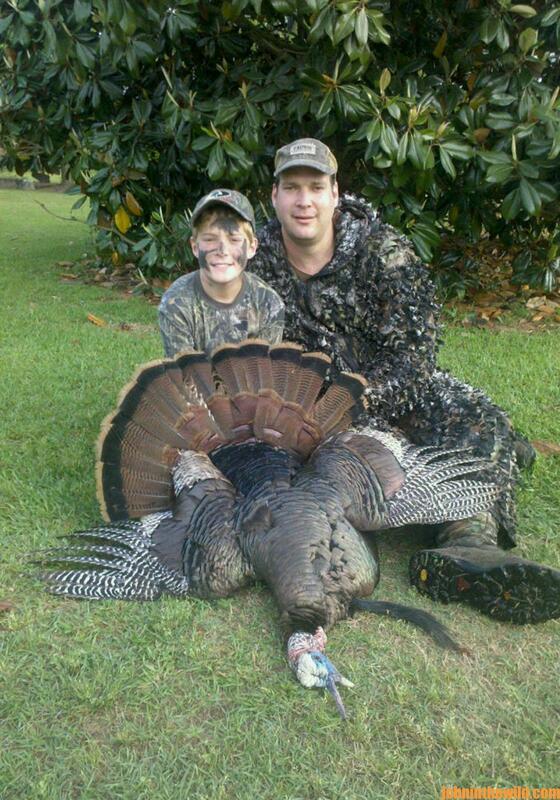 Some years ago, Jack wanted John to have the opportunity to take his first turkey. He wanted to sit with John, while John took the shot, and he asked me to call for them. 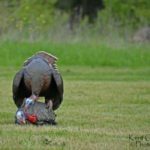 I think any time you take a youngster on his or her first attempt to bag a gobbler, there needs to be an adult sitting right there, focusing all his attention on the youngster and the gobbler. 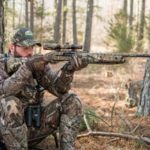 Then another turkey hunter can get behind the two hunters and be responsible for calling in the gobbler, so the young hunter can take the shot. We decided to hunt a plowed-up field that had been planted in peanuts the year before, but didn’t have anything growing in it at that time. Turkeys seem to like to strut in fresh dirt that just has been turned over, and we knew a gobbler had been strutting out in this field. We felt like we could get set-up on the edge of the field and get John a good shot on the bird. We got set-up before daylight on a little island of trees and bushes out in the middle of the field with some 20- to 30-year-old trees there that were plenty big enough for Jack and John to lean against and not be silhouetted. They sat by a big oak tree on the point of the island with some brush in front of it that created a perfect natural blind. Jack and John cut some limbs and stuck them in the ground in front of them to be more hidden. 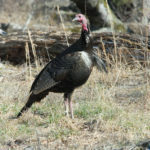 When two gobblers came into the field, I could see the birds from 200-yards away, and the blind was facing the gobblers. The turkeys had gobbled some from the roost, but once they came into the field, they both gobbled a lot. I saw the birds come out of a creek bottom at the other end of the field, walk out into the field and then start strutting, drumming and gobbling once they saw the decoys we had put out in front of Jack and John. 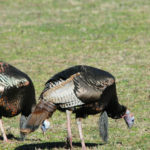 When the gobblers really got locked in on the decoys, they started running across the field straight at my two hunters. Then they stopped short at about 50 yards, gobbled and strutted trying to get the hen decoy to come to them. Like every proud young turkey hunter, John put the turkey on his shoulder and stared carrying the bird out, but after only a little way, the bird starting coming off John’s shoulder. I finished carrying the fine bird out for him. I really enjoy helping young people get into the sport of turkey hunting, because I love it so much. 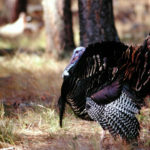 If I could turkey hunt all year long, I’d even give up deer hunting. I really enjoy seeing young people get as excited about turkey hunting as I am. 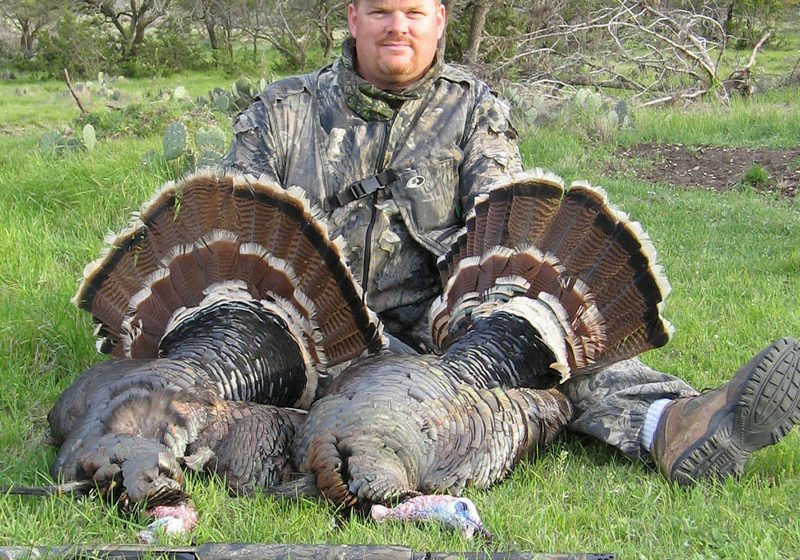 I know that because Jack Lester put in the time to teach his sons to turkey hunt, they will continue in the sport well into the future.